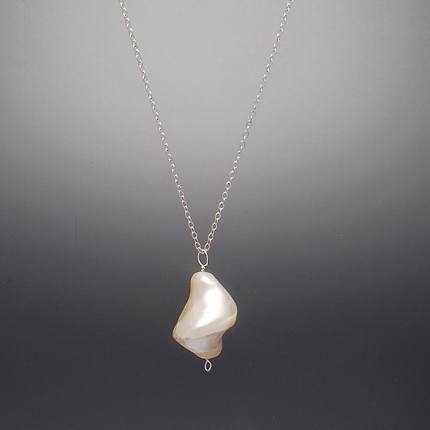 That is a extra large freshwater pearl hanging on a delicate sterling silver necklace. Great with anything from your jeans to a wedding dress! Comes on an 18″ chain, if you prefer shorter or slightly longer, please specify. All of the pearls are different, this one is about one inch from top to bottom.